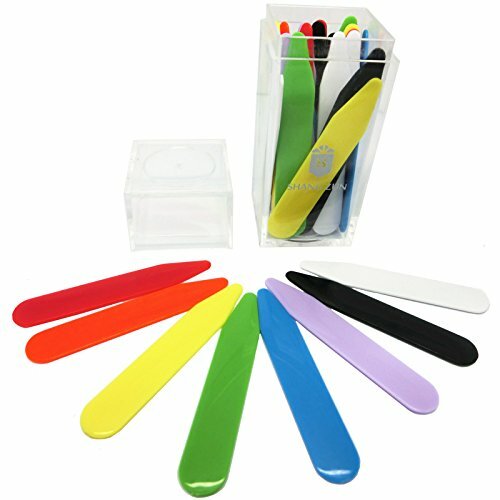 Shang Zun 32 Pcs Plastic Multi-colored Collar Stays in a Box, 2.37" | What Should I Say? Our collar stays, like custom dress shirts, provide a luxury experience rivaled by none. Crafted in high quality material with a unique antique finish, our stays keep your collar in place ensuring a polished finish to the most distinguishable feature in any dress shirt. You can tell a lot about a man by the look of his collar. Size: 2.37" (60.2mm); Width:10mm; Thickness:0.8mm.